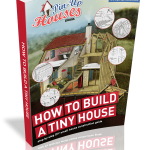 To learn more about DIY tiny house construction order the How to build a tiny house book! Walls define the interior space of the house and together with the ceiling and floor constitute our “third skin” next to our clothes. It is very important how we treat this layer, particularly if we live in a cooler part of the Earth where more than half of our life is spent in the interior environment. There are many factors applicable to wall assessment. The most important information on walls includes the height, load-bearing capacity and the interior and exterior finishes. Walls can be plain white, with rough wooden patterns, glossy, transparent, soft or sliding. 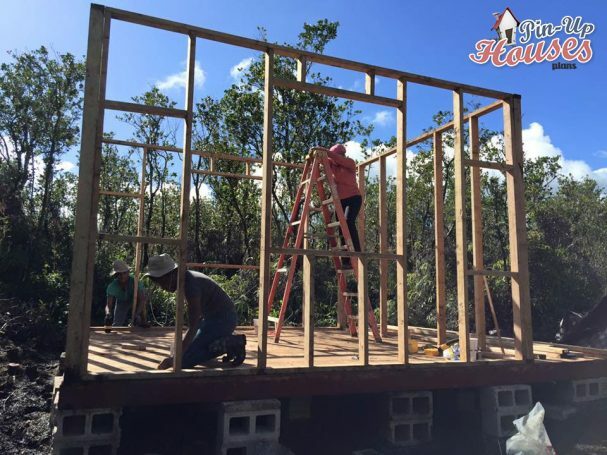 This complex topic has been narrowed down in our posts to cover primarily technical details one must know when intending to build a tiny house. The wall system usually consists of two types of walls: exterior, the load-bearing walls with windows and doors, and interior – partition walls, which can be either load-bearing or without a structural purpose serving solely to divide an interior space (note: some sources use the phrase partition walls only for the non-bearing walls, also called curtain walls, while other for any type of interior walls). Load-bearing walls transfer the weight and load they carry into the foundations and are crucial static components, while non-bearing partitions can be moved or removed freely without having any impact on the overall statics of the structure. If the foundations and the board that forms the first storey floor are ready, the time has come to start on the load-bearing structure of the walls, which will support the floor of the second storey or the roof structure. Usually we use 2×4 structural timber for one-storey buildings wall, while for multi-storey structures a heavier material should be chosen. Wall framing components could be divided into several categories. 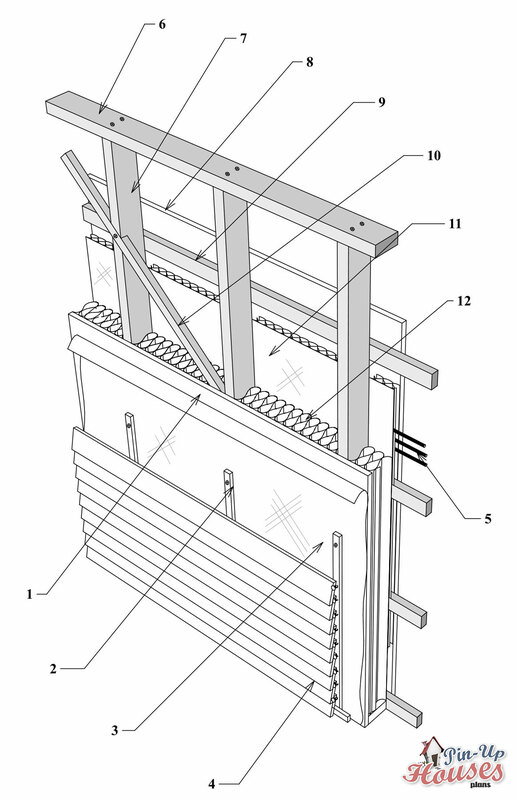 The load-bearing part consists of: soleplates (bottom plate) and single or double layer of top plates, the horizontal members of the structure; studs, equally spaced out vertical parts connecting plates; bracing, diagonal battens important for lateral strength of the wall, provide best functions when installed at angle between 45° and 60° and should be ideally placed on both ends of the wall, apart from the external walls with sheathing, another load-bearing element, which has bracing effects too and also protects internal parts of the wall. Regarding the external wall layers, on top of a sheathing is rainscreen, a hydro-insulation layer fixed with vertical battens, which whereby create an important air space for ventilation and have an external cladding providing a protection from the weather installed to them. Would you like to learn more about roofs and other parts of DIY timber construction? Our amazing step by step guide How to build a tiny house is here for you! With lot of illustrations, photographs and manuals available to be ordered right here. Another crucial parts of wall insulation system are thermal insulation placed in between the plates and studs and breathable membrane acting as vapour barrier protecting the thermal insulation from moisture coming from the interior of building. Horizontal battens secure this layer and create space between them for mechanical installations (power, water, etc. ), covered by interior deck. Corner posts are used to attach walls to each other. Important parts of walls are also doors and windows openings, that are framed by headers, trimmer studs, sills and cripple studs. Header is a horizontal beam placed on top of the opening necessary to use when it is wider than the space between wall studs. Header supports the load above it and transforms it into vertical trimmer studs (or jack studs) connected to both its ends, running all the way to the soleplate and trimmed to the regular full-height studs (also called the king studs). The headers of all openings are usually at the same height. Bottom part of a window opening is secured by a horizontal window sill. Between the sill and bottom wall plate as well as between the header and top plate are cripple studs, in the same place where regular studs would be if there was no opening. There are many types of walls, so the most important and best suited for tiny houses construction have been selected for this book, if you wish to learn more.